WRINKLE DIMENSION HYALURONIC ACID CONCENTRATE brings together a trio of hyaluronic acid, the benchmark molecule approved by dermatologists and used in optimum concentrations to effectively act on crepey and wrinkled skin. A semi-fluid, half-lotion serum that immediately melts on the skin, WRINKLE DIMENSION can be used year-round to provide maturing and wrinkled skin with a perfect supply of hyaluronic acid for an instantly rejuvenating effect. 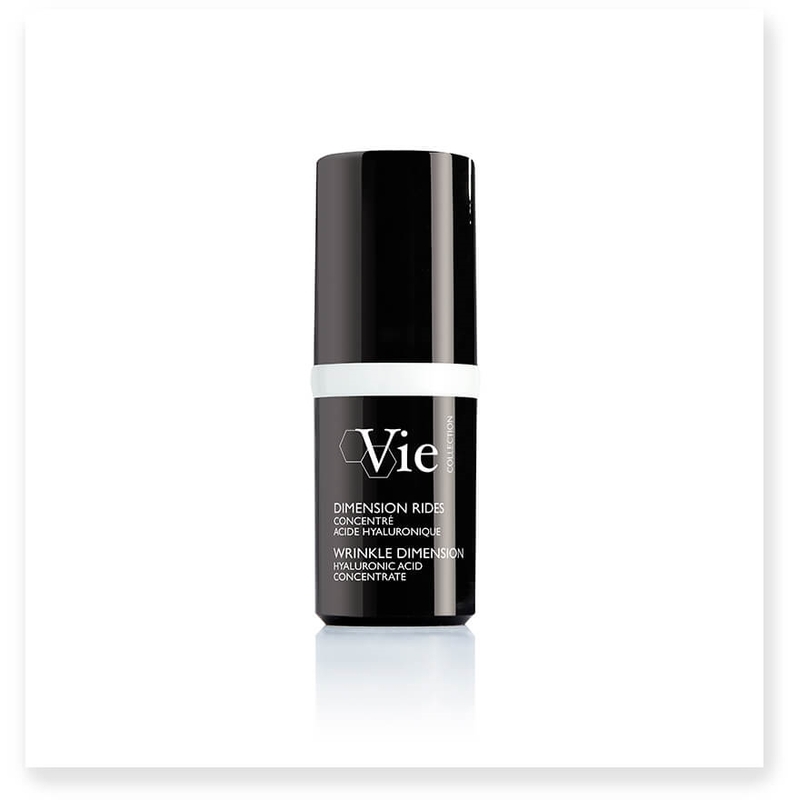 • Encapsulated high molecular weight hyaluronic acid - deep wrinkles are filled and hollow areas volumized. • Low molecular weight hyaluronic acid - surface wrinkles are smoothed as small molecules of hyaluronic acid penetrate the skin layers, swell on contact with water and accumulate to fill out fine lines often related to lifestyle (smoking, sun and pollution) and dehydration. • High molecular weight hyaluronic acid - plays a vital role in regulated skin hydration thanks to strong water-retaining power: the skin is moisturized and transepidermal water loss is stopped.